By now, you’ve researched your idea and validated that your starting point is a good bet. But none of this matters if you’re trying to fit a round peg in a square hole. Your blog strategy ensures you’re sending the right message to the right people. Whichever income model you choose to help you reach your blogging goals should also work for your audience. In other words, you need to make sure your audience is on board and will support (and buy) from you before you go forward with your idea. Your blog strategy starts with you, but it’s developed in partnership with your audience. In the last chapter, we mentioned you need to verify that people want what you’re going to be offering. Fortunately, you don’t have to guess. This is where your audience comes in—and hopefully you’ve already begun to build one. However, there’s a big difference between having an audience—we recommend at least 1,000 subscribers before you choose a business model—and getting useful information out of your audience members. Let’s talk about a few smart strategies for getting the information you need. This will tell you whether people like your business idea enough to pay for it. Running a survey is a great blogging strategy. It gives you specific, detailed information from people—and whets their appetites for your eventual offer! You can easily run a survey using a service like SurveyMonkey. Make sure to include a mix of yes/no, multiple choice and open ended questions so you get a broad spectrum of information. To create the best possible survey, follow these 5 tips for successful surveys. Again, the key is to ask the best questions so you can get the best information to use in selecting your business model. You should ask engagement questions at the end of every email you send—and make sure to respond to those who take the time to reply! The PDF “The Ultimate Email Marketing Guidebook: Increasing Subscriber Engagement” offers some interesting ideas for engaging your subscribers by email. Here’s a common blog content strategy that can work for blogs of any size. Like your emails, there should always be an engagement question at the end of your blog post. But, you can go one further by researching your own blog posts. First, ask meaningful, engaging questions, as with your survey and your emails. Then, look at your most popular posts on a regular basis. Which posts get the most comments and shares? Now, look at the comments for those posts. These comments can be a gold mine of information. You can also use this technique on your competitors’ blogs by looking at the comments on their most popular posts to see what audiences similar to your audience are saying about other blogs in your field. Marketing Profs’ “13 ‘Secrets’ to Engaging Your Blog Site Visitors” offers some good tips on blog engagement. Whether you collect data through a survey, your emails, analyzing your blog comments or all of these techniques, you’re not done after you look at the data and formulate a plan for your product or service. Now you need to get audience buy-in. To do this, run a brief campaign letting people know what you’re planning. Ask them what they think, and what it should cost. If the feedback is largely positive, then you can feel safe setting things in motion. To run your campaign, set up a survey, and then invite your audience to take the survey and sign up for an email alert list to find out more. This way you won’t be bombarding people with information about your new project if they’re not interested. You’ll also know that the people answering your survey and responding to your email are truly interested. This will give you more useful information and provide an idea of how many people are interested. Now, it can be scary to run your first project campaign to get people on board. So we’ve included some swipe copy here to get you started. “Swipe copy” is copy that you can borrow, build on, rewrite to fit your needs and use for your campaign. That’s helpful because a good blogging strategy includes basic frameworks to work from, so you can execute your ideas quickly and effectively. A swipe file is a great place to start. The first piece of copy you need is an email to your entire list letting them know about your project. The email should invite them to take your survey and sign up for an email notification list dedicated to your new project. I’ve been thinking a lot about [topic]. It’s an important issue and very big these days. [Examples of how it’s important and/or a big topic]. That’s why, today, I’d like to ask for your opinion on what could be my next big project. That project, as it happens, is also related to [topic]. In this case, it’s [project idea]. For a long time now, I’ve been thinking about offering [more explanation of the project]. [Why you’re thinking about this project in particular]. I’ve wanted to do this for a while but haven’t really stopped to consider how it would work. That’s where you come in. I want to know if you’d be interested in hearing more about [project]. If you are indeed interested, all you have to do is click on the link below. I know that this won’t be for everyone, but I think it will be really [powerful | important | helpful | other words] for those who are interested. But I’m only going to pursue the idea if enough people say they’re interested, and I’ll only be sending updates to the people who give me their feedback (there’s no point bugging everyone else with the details). So if you’re even remotely curious about having something like this happen, please click the link now, and tell me what you think—it will only take a minute, and could end up changing your life. I’ll tally the results over the next couple of days and let you know what I think the next steps should be shortly. When you send this email, the people interested in your idea will fill out your survey and you can get a good idea as to whether it’s something you want to move forward with. If there simply are not enough people interested, then you will have let go of that monetization idea, at least for now. Go back to your list of possibilities that you created in the previous chapter, validate your research, and then run another email asking for audience feedback on this business idea. So what exactly is in this survey? Let’s take a look at that next. Here are some questions you can include in your survey to get useful information about your business idea. If your survey indicates that people are interested in your product or service idea, it’s time to make sure that everyone who is interested gets onto your notification list to find out more about it—and that those people who aren’t interested don’t get any more emails about it. Would you be interested in [product or service]? (BTW, if you didn’t see that email, and your response is “YES” then click on the link below). I’ll try to answer some of those questions, but I should start by saying that none of this is set in stone yet. I know this isn’t for everyone, so I’m only going to be providing information about this program to the people who really want to hear more about it. From this point, you have a mailing list of people who are interested in your project. You can update them about your progress, ask questions about what they’d like to see included, and let them know when you have something ready to go. Now let’s look at another blog strategy that’s really important at this stage of your planning. Your goal? To make sure you don’t pour all your resources (time or money) into something that won’t work. It’s about creating an MVP, or a minimum viable product, to test your idea. This MVP concept applies to all of the different models except advertising/sponsored posts where, again, your audience is the product. You don’t want to call attention to that fact, so you won’t be asking them what kind of advertising they’d like you to run and how much of it they’d like to see so that they can make you the most money. Let’s take a quick look at what your MVP should be for each of the business models we’ve discussed. If you’re going to sell products or services as an affiliate, your MVP should be a single webinar in which you review one product and recommend it to your audience. Be sure to choose a product that you feel is representative of the products you’d like to offer in the future. Make sure there’s a good fit with your audience too. Approach this pilot webinar as a live webinar, not a test, and produce it to get results. If you’re planning to offer your services, create a small package of services, such as one or two hours of consulting or coaching or one design or writing project. 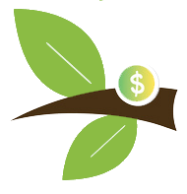 Price the packages at the price point you intend to use, and offer the same services you’re planning to sell long-term, but in small, short packages for pilot testing. For digital training, enroll a small pilot group for live training in the program you’re proposing. Remember that you want people to have the same experience you plan to offer everyone else, so that you can see how it works. If eCommerce is your thing, promote a small batch of a special product that you believe your audience will want to purchase. If you’re planning to offer a subscription service or membership site, create an interest list that people must pay a token amount to be on in order to receive the materials you’re planning to offer. See what we mean? 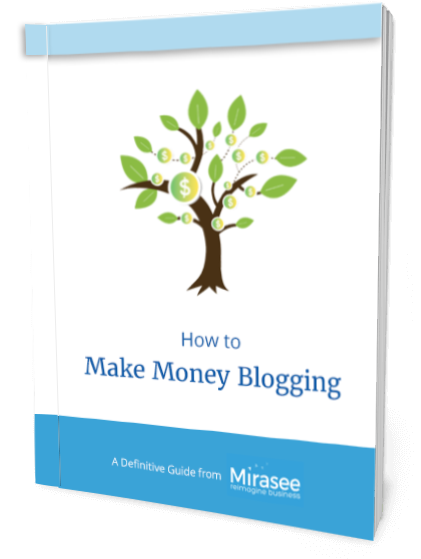 There’s a lot that goes into a smart blog strategy, especially when it comes to monetizing your blog. But by using the MVP approach, you can test ideas quickly and move from Plan A to Plan B or C quickly, which means you’ll be able to make money blogging a lot quicker than most other bloggers. There are several ways to find out what your audience wants: surveys, email engagement, and blog posts. All of these methods involve listening to what they say about the product or service you’re hoping to create. You will end up with a lot of data about what your customers want. You should always create an MVP or minimum viable product, and iterate into the full version of what you intend to offer as you get input from your audience. This means one webinar for product sales, one small service package or one small pilot group in a live version of digital training, and one small token fee interest list for a membership site or community. Construct a survey for your audience, and send it to your audience. If you don’t have a list yet, send it to your friends and family—anyone who fits your customer profile or who you think might have good insight. Do some research, either on your blog or your competitors’ blogs: what are people saying about the topic you want to help them with? What problems come up, and are you ready to solve them? Use your survey results and blog research to define your Minimum Viable Product.